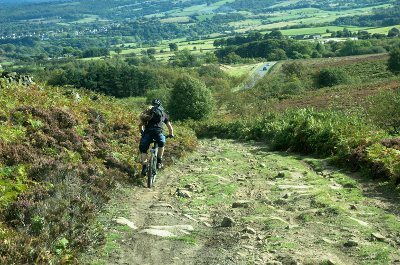 Well used by walkers, cyclists and horse riders as well as off road traffic these two byways give lots to explore. 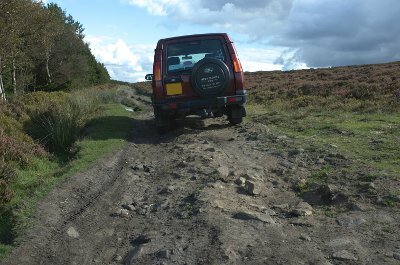 RATING: Houndkirk Road is a very pleasant drive with a few rocky sections. 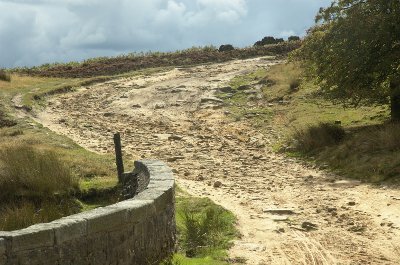 The byway running alongside Lady Canning's Plantation is trickier with a much more uneven surface with a problem for some vehicles at the end. 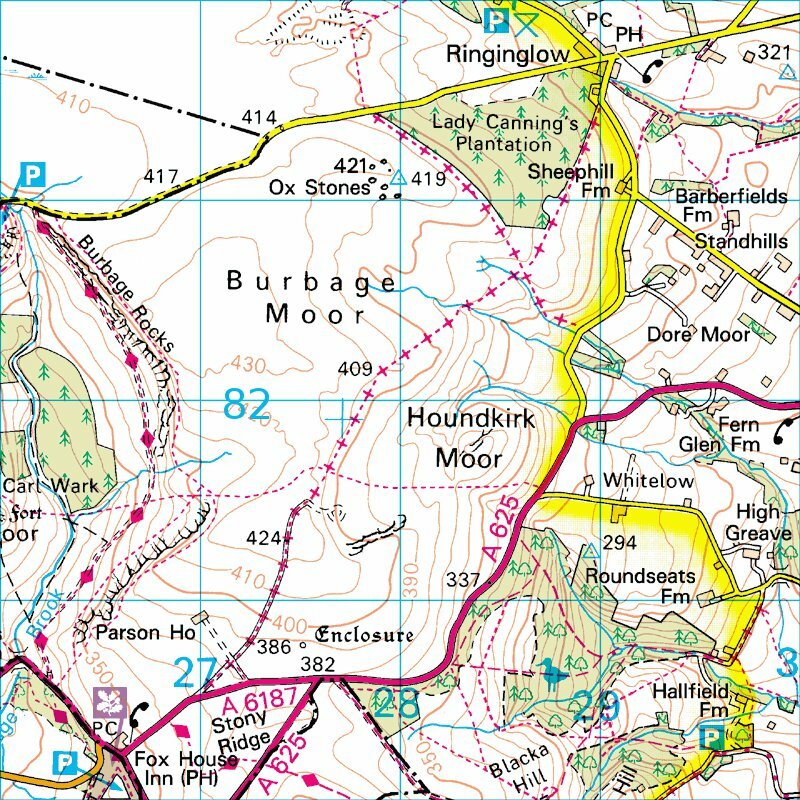 We had passed the Houndkirk Road byway many times without realising it was there. We drove it one sunny Sunday afternoon in October 2011 and it was one of the busiest tracks we've ever been on. 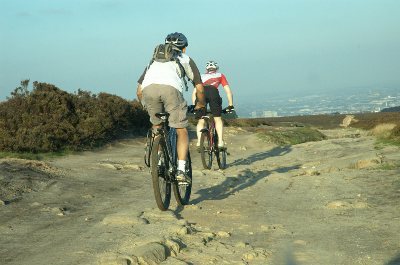 Walkers and cyclists in abundance as well as motorbikes and horse riders. 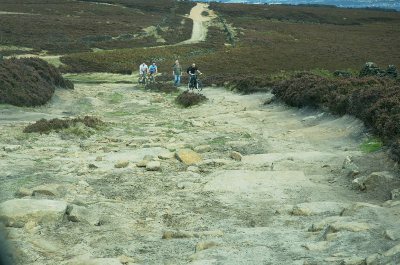 The cyclists must be there to enjoy the off road experience as it certainly has some rougher sections. 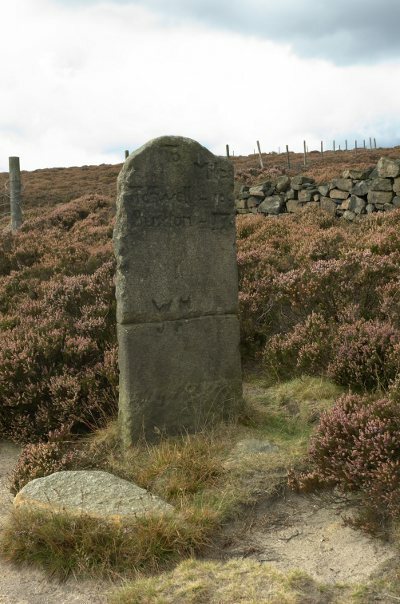 Houndkirk Road forms part of the 18th century turnpike road from Sheffield to Hathersage and near the bridge is a milestone stating the distance 10 miles to Tideswell and 17 to Buxton. 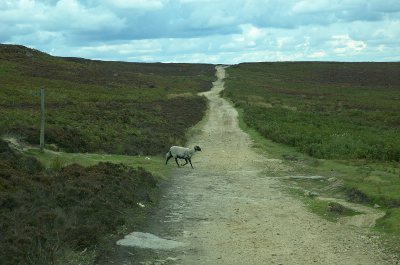 It's a pretty straightforward drive across high ground and the view of the sprawling city of Sheffield stretching below contrasts well with the surrounding open moorland. Towards the end the road passes the bottom of the plantation with room to park and explore the woodland on foot. 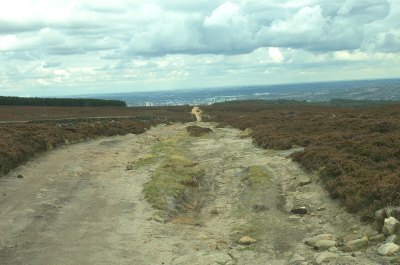 Bisecting Houndkirk Road is another byway running alongside the area of conifer woodland known as Lady Canning's Plantation. 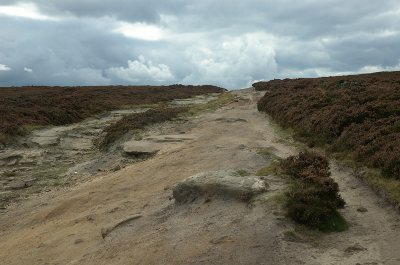 This track is much rougher than Houndkirk Road and descends quite steeply to join the metalled road from Ringinglow. 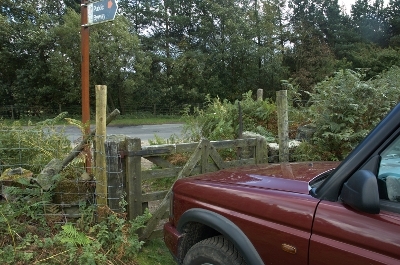 Unfortunately the gate leaving the byway to join the road is at least 1ft narrower than the Land Rover making it impossible to use this exit by 4x4. 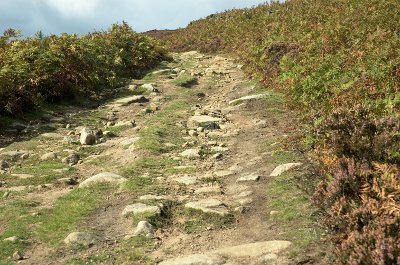 Although not greatly difficult to turn round it is a pretty steep and slippery climb on the loose rocky surface back up to the Houndkirk Road intersection. 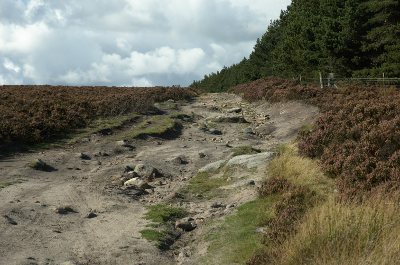 Steeped in history the Grindleford Geological Trail passes the National Trust owned Longshaw Estate, ancient woodlands, abandoned mills, beautiful Padley Gorge and many quarries. 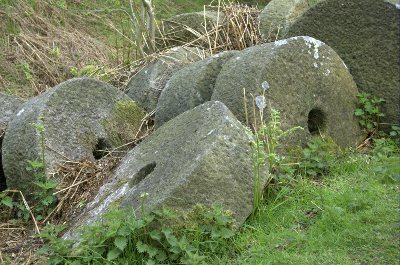 Discarded millstones are everywhere, a result of the collapse in the market in the 1930's. The hugely popular Meadowhall shopping centre has free parking, hundreds of shops and a massive dining quarter.